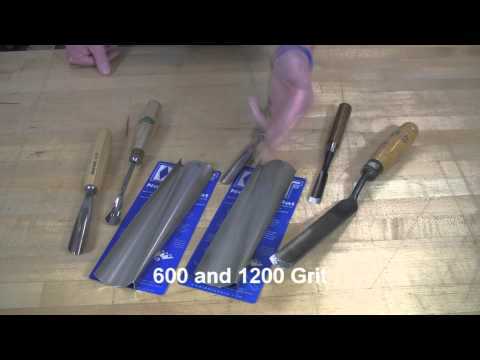 DMT® Diamond Products lower overhead costs in any shop where cutting tools are used. 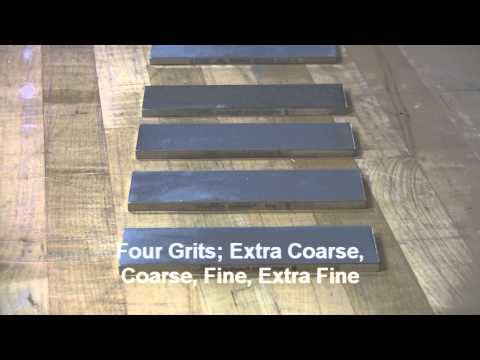 A variety of the finest, super-hard micronized diamond surfaces are available to solve all honing, sharpening, deburring, abrading, and lapping needs required by the hard tool steels found in most plants. 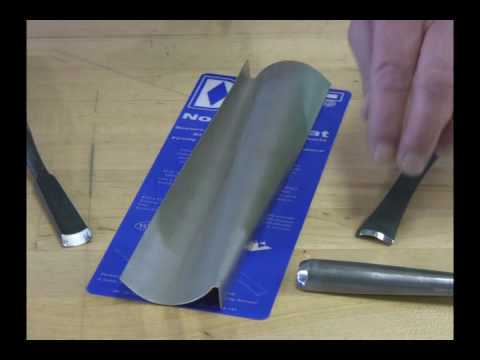 Customers report they extend the life of their carbide tooling 5-7 times compared to using sharpening services. DMT® Products are a superior value. Whether you are building machinery, fitting close tolerance parts, die chasing, deburring a mold or die, the diverse DMT® product range allows you the opportunity to get the job done efficiently and in the shortest amount of time. 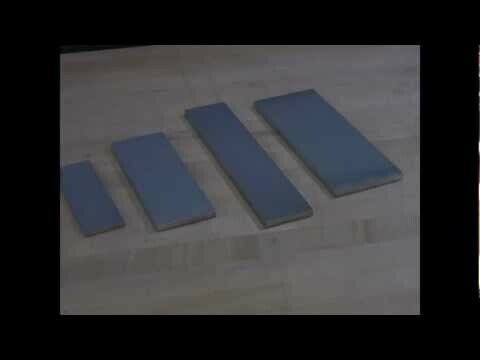 DMT® DuoSharp® and DuoSharp®plus™ Bench Stones are available with a non-skid mat or with a base. Here's a quick look at the different models. Expect cutting edge performance with DMT 's Dia-Sharp® 6-in. 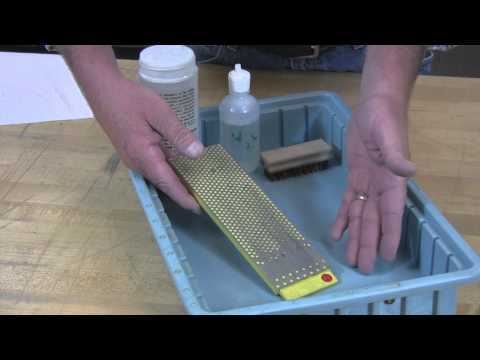 continuous diamond sharpening bench stone. 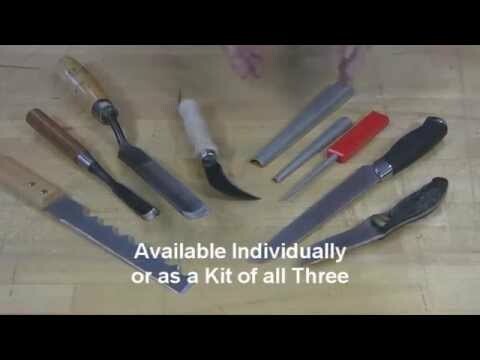 For knives, blades and fine tools. Available in single side and double sided models. Take your sharpening anywhere with the ready-to-go Dia-Sharp® credit card sized diamond sharpener. Fits easily in pocket or wallet. Comes in convenient vinyl grit color-coded carry case. Tight space—no worries! 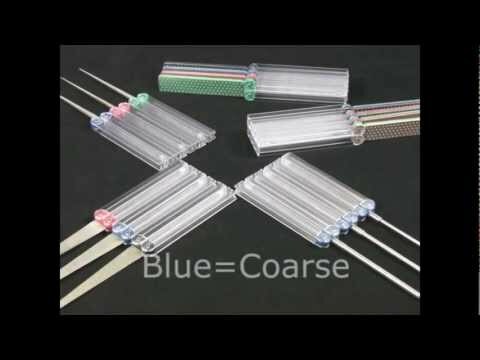 Dia-Sharp® 2.5-in. Diamond Mini-Hone® sharpener and Offset Diamond Mini-Hone® sharpener with its ergonomically designed handle provides comfortable sharpening, deburring and honing in tight spaces. 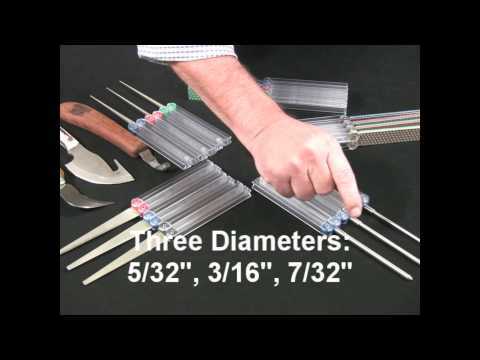 Easy access tip measures .033" thick. Diamond surface measures 2.5" x .75". Perfect size to carry with you on the slopes for ski and snow board tune up and deburring and for those smaller knives and tools that need edge care like your pocket knife and scissors. 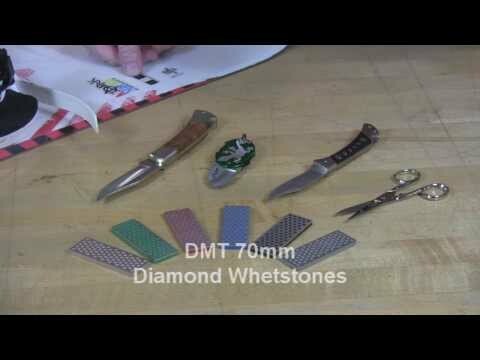 Take care of your gauges - convex and concave - with this unique diamond sharpener. Improve tool performance with DMT's easy-to-use Dia-Paste™ Diamond Compound. A light application will create a highly polished, mirror finish, reducing tool friction for a sharper, stronger edge allowing more use between sharpening. DMT offers 3 different sizes of tapered fine diamond (600 grit/25 micron) honing cones suitable for all concave edges. Sizes: Small - 1/8" to 3/8" ; Medium - 3/8" - 3/4"; Large - 3/4" to 1 1/4". Available individually or as a kit of 3. 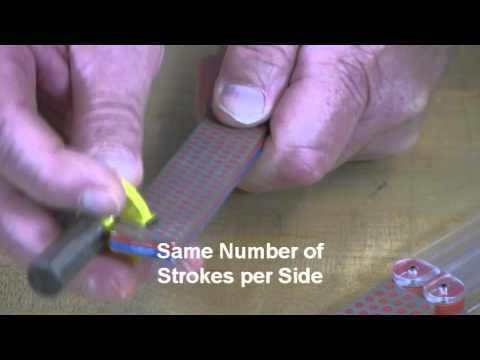 Keep router bits sharp with DMT's popular Double Sided Diafold® Sharpener. 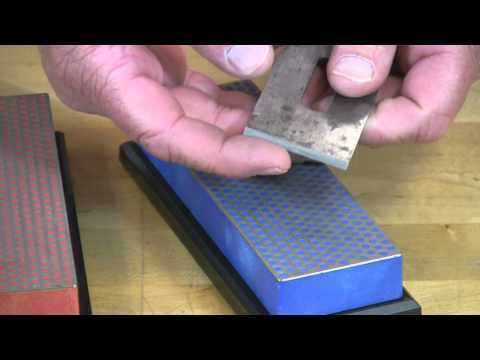 Keep your chisel sharp using DMT's Diamond Whetstone™ model in Coarse and Fine. 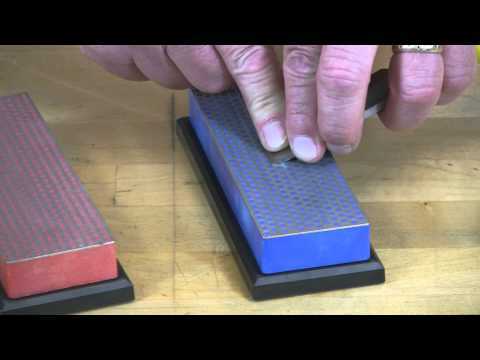 Keep your plane iron sharp using DMT's Diamond Whetstone™ model in Coarse and Fine. 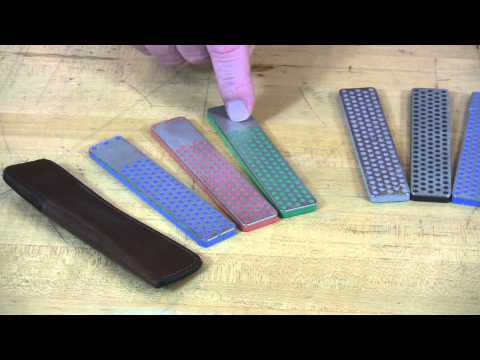 4-inch Dia-Sharp® Pocket Stone takes up very little space while handling a variety of sharpening tasks for knives, awls, carving tools and more. DuoBase Bench Stone Accessory can be used with all DuoSharp® Bench Stones or any 6" x 2" stone. Provides 2" knuckle clearance for ease of use. Rubber feet secure the base and stone to the work bench or counter. Features a convenient handle on the underside for moving the stone over a large work piece for maximum versatility. Durable construction will provide years of consistent performance and reliable service. 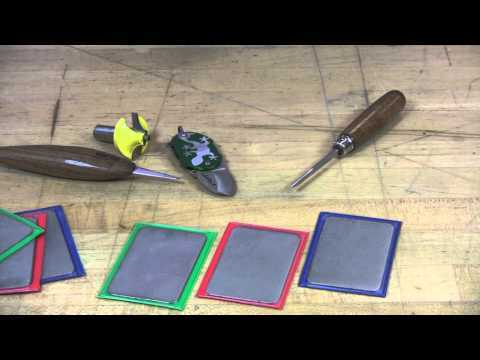 If your diamond stone is not cutting quickly (i.e., sharpening your tool) chances are it needs a good cleaning. 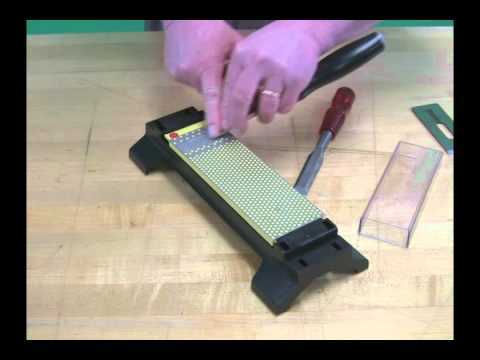 From our video, you can see how easy it is to keep your DMT sharpeners clean and ready for your dull knives, pruners, chisels, router bits…well, all your edges! 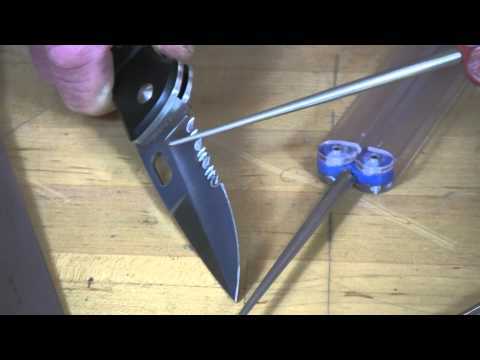 The diamond Mini-Sharp® sharpener is versatile and convenient. 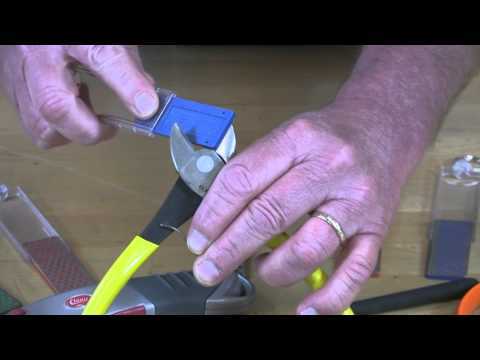 Its easy and convenient to have a sharpener with you to address any number of edges including wire snips. Very easy to use! 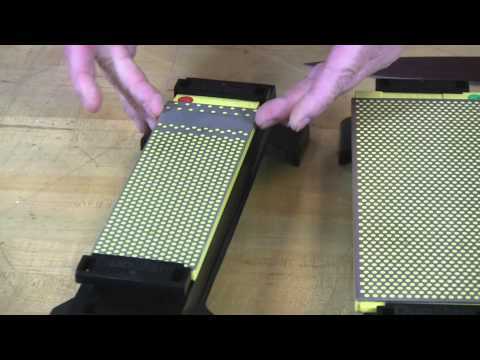 DuoSharp® and DuoSharp®plus™ Bench Stones are available with a non-skid mat or with a base. 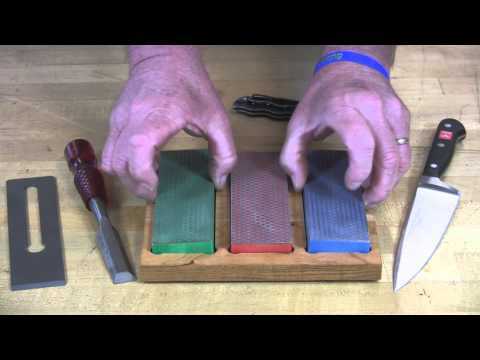 DMT's 6-inch Diamond Whetstone™ Kit is great for the kitchen or in your workshop...or both! 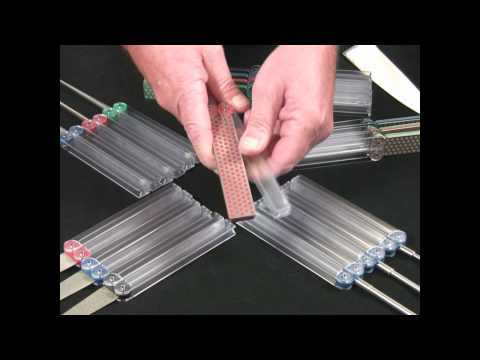 Serrated edges are sharpened easily with DMT's Diafold® Serrated Sharpeners. Diafold® Chainsaw File Models with clear handles. Diafold® Flat File Models with clear handles. Diafold® Double Sided Models with clear handles. Diafold® Single Sided Models with the new clear handles. DMT Diafold® Models with clear handles! DMT offers a variety Dia-Sharp® Bench Stones in size and diamond surfaces. 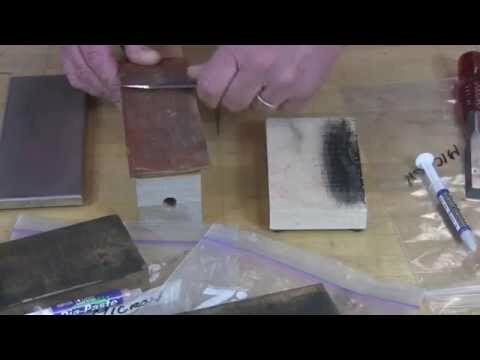 See how DMT® takes just minutes to sharpen your chisels and plane irons to like new. Follow these easy instructions to learn how DMT®’s line of DiaSharp diamond stones can restore your edges! 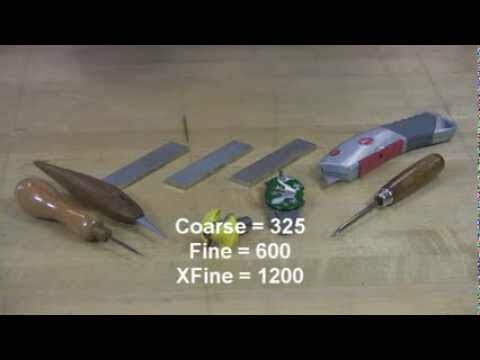 To sharpen new or maintain your Chisels & Plane Irons follow these easy steps! 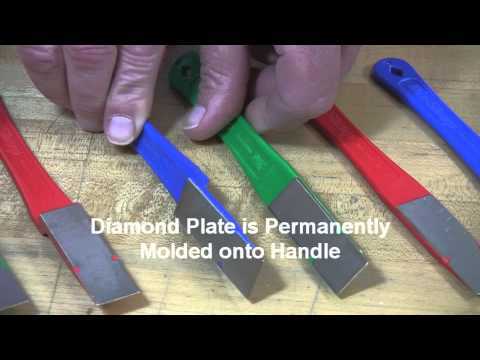 DMT® Introduces the First CONVEX and CONCAVE Diamond Sharpener. Dia-Flat® Lapping Plate designed to easily flatten all conventional and waterstones in less time than other methods. One of our customers was kind enough to share that the abrasives can be very damaging to garbage disposal bearings - so we suggest you DO NOT flatten stones in a sink with a garbage disposal.